... and 2 years later. Hey guys, been an EXTREMELY long time. The primary reason was that my computer completely crashed on me and lost a TON of materials, setups, logins, etc. And just couldn't find the motivation to get it all going again. To make matters worse, as most of you may have noticed... all multimedia (movies, episodes, and image gallery) are DOWN. No promises, but hoping to find a way to get going. Another piece of sad news, one of the most legendary DBZ websites to ever grace the internet has said it's farewell. Dragon Ball Z Saiyan Chronicles (www.dbzsc.com) has shut it's doors. We bid XZ and his staff the best of luck in the future. Enough of the bad news... thought I'd end off on something positive. A new Dragon Ball Z movie is being released March 30, 2013! It will be a full feature-length film, with a theatrical release in Japan, something that hasn't happened since 1996! Hopefully the quality of animation is just as high as the last movie that was released in 2008 to celebrate 20 years of DBZ. No plot details have emerged except for the fact that it will take place after the defeat of Kid Buu and long before the events of DBGT. Check out the trailer at the link below! Just click "Movie" at the bottom right of the page. That's it for now. Until next time guys! Which hopefully won't be another 2 years. ... and 5 months later. I know I've definitely been MIA for the past little while. Just been very caught up with life. I apologize for the extreme lack of updates and what not. Got some big personal things coming up in early June. With that being said, you can expect updates to begin again come mid-June. New Dragonball Seasons, DBKai Episodes, and more! Just a couple house-keeping issues to deal with. 1) I lost all emails and login information, so if you've emailed in the past 5 months and I havn't gotten back to you... it's not me ignoring you =P ... just send another email! 2) From time to time, some of the episode links go down, or the episode file no longer works, PLEASE notify me if there is such a case and I will correct the issue ASAP. 3) Two affiliates have been dropped (Evil-DBZ ceases to exist and Fuzion-DL is now a one-page website). BlankEvo on the other hand is livelier than ever... check them out for other great shows and movies! Take care guys, and have a great spring! Yeah... its been a while. Hello DB Fans! It's been a LONG time since I've updated the website. I apologize for that... life has been catching up with me lately... got lots on my plate! But I definitely havn't lost interest in Dragon Ball or the website so more updates to come! Thanks to all the fans for emailing me to keep me motivated. So here is a huge piece of new content! Remastered Dragon Ball episodes! Yup.. the series that started it all! Season One is up for download. Enjoy the adventures of Goku, Bulma, and friends as they search for the Dragon Balls! Season 2 should be coming along very soon! (and by that I mean in the next 2-3 weeks!) I see that voting has continued on the poll, expect a new one soon, and I definitely want to catch everyone up on DBKai! Yeah.. I guess the site has fallen back alot... but lets try and change that shall we? TGIF everyone! Whats up pplz... yes its been a while. Just a quick update.. Episodes 17 & 18 of DBKai are now up in our DBKai section! Unfortunately, only episode 18 is streamable... having some problem with episode 17, so ya'll might have to download that one! Enjoy! Watch Episode 18 Online Now! Dragonball Evolution up for Download / Stream! 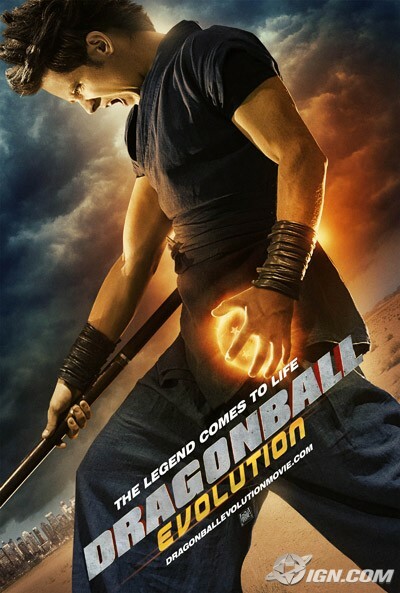 So I know you've been seeing nothing but DBKai updates lately, and I thought I'd break that routine by putting up the all amazing and awesome real-life adaption of DB.... DragonBall Evolution! Okay I lied.. its not awesome.. its quite possibly the worst piece of junk to ever come out of Hollywood, and scraping the good name of DB along with it. In any case, if you have some desire to watch it or want to join in on the hating, head over to our movie section to download it or stream it! Enjoy! And of course more DBKai episodes to come. Enjoy your weekend everyone! I apologize for being late this last little bit, but the regular supplier of DBKai episodes seems to have missed Episode 15, so we had to go to a different source, that is almost as good. With that being said Episodes 15 & 16 of DBKai are now up in our DBKai section! Two VERY action packed episodes, leading up to the defeat of Vegeta. In comparison to DBKai, DBZ would be on Episode 35. Saving about 20 episodes of space. Enjoy! Watch Episode 15 Online Now! Watch Episode 16 Online Now! And I got some more media to come for you guys later this week! Take care! Episode 14 of DBKai is now up in our DBKai section! Alot happens in this episode, essentially a compressed version of Goku vs. Vegeta, including their beam battle and Vegeta's transformation. The next episode should probably be the 2nd or 3rd last before Vegeta leaves! Episode 12 & 13 of DBKai is now up in our DBKai section! It leads up to the primarily fight between Goku and Vegeta, right before he goes Kaioken x3. So the next episode will be one of the most memorable DBZ moments... the beam battle between Goku and Vegeta! Episode 11 of DBKai is now up in our DBKai section! It is an extremely condensed episode of the Saiyans waiting 3 hours for Goku, Piccolo's plan to grab their tail, and the beginning of his death! Next episode... Goku is back and ready to beat up on Nappa! 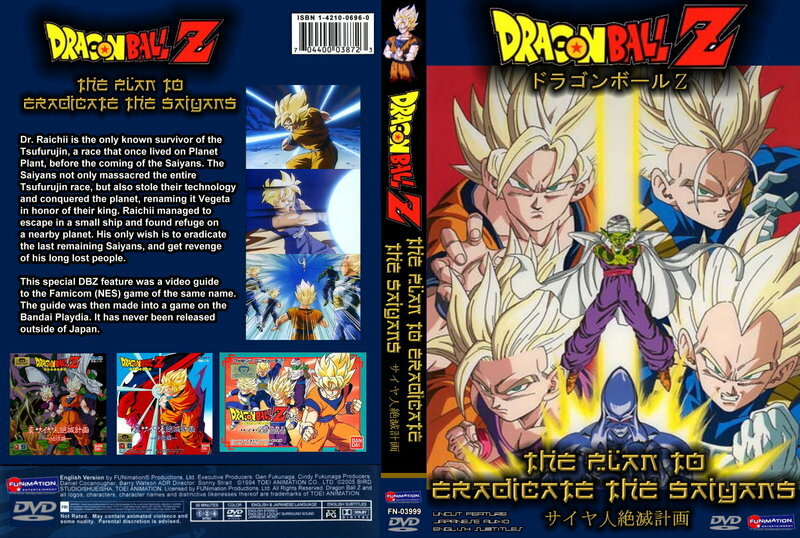 Dragon Ball Z OVA - Plan to Destroy the Saiyans up for Download / Stream ! The infamous DBZ OVA is now up in our Full Movie section!! It's 2 parts of high quality action. Keep in mind that this is a fanmade cover and Funimation has yet to announce any news of dubbing the movie. It has English subs and is a MUST see for any true DBZ fan! Enjoy! DragonBlader is also now done Exams, so he should have some new Memorable Moment clips for you guys sometime this week! Take care!